LoveAntiques.com is an on-line antiques market place. Sellers pay to place their products on the website, therefore attracting sellers is a priority for the business. LoveAntiques.com is owned and operated by International Antiques & Collectors Fairs, organisers of Europe’s largest antiques fairs. “Without Barracuda's insight and hard work, our business wouldn't be where it is today. First and foremost, we needed to fix a ‘Panda’ issue. The site was suffering from a total lack of unique content across the board, and hence was not being given credit from Google for the good service and customer experience they were delivering. This was compounded by a confusing URL and internal linking structure. The obvious implication for a Panda-impacted website is a subsequent lack of organic Google rankings and hence organic traffic. It is very important for LoveAntiques to be visible in Google for core category terms such as ‘antique chairs’ as it is a key consideration for antique sellers looking to partner with the site. So, in this case, rankings really do equate to revenue. In addition to the Panda issue, link equity pointing at the website was low. In order to compete, we knew we would need to tackle all three aspects of the SEO paradigm: Fix technical issues, create unique and compelling content across the whole site, and build external links in to the website to raise ranking power (of course, this would only take effect once the Panda issue had been solved). The latter two (content and links) working in unison were particularly important; a website with best in class content, often does not need as much in the way of link equity to rank highly. The first mission was to remove the suspected Panda filter, triggered by having next to no unique content anywhere on the site. 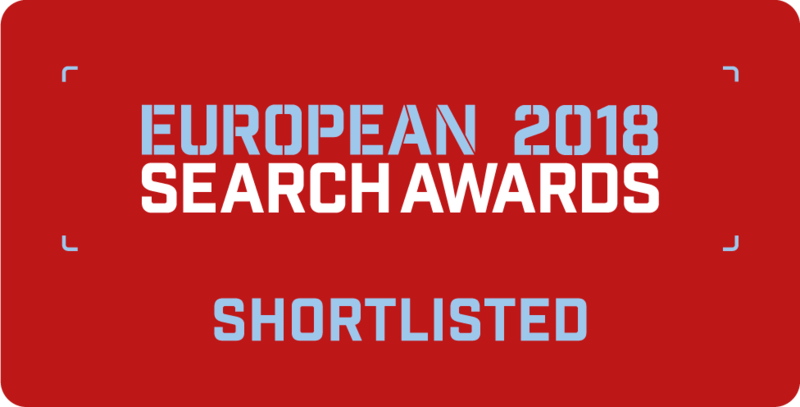 Creating content in a systematic way across the site became a key foundation of the campaign, and creating category ‘content hubs’ was the preferred technique employed. Along side that activity, the website’s URL and internal linking structure were given a complete overhaul. Prior to that, the ontology was confusing and there was very little in the way of hierarchy amongst the information on the site, from a search engine’s perspective. 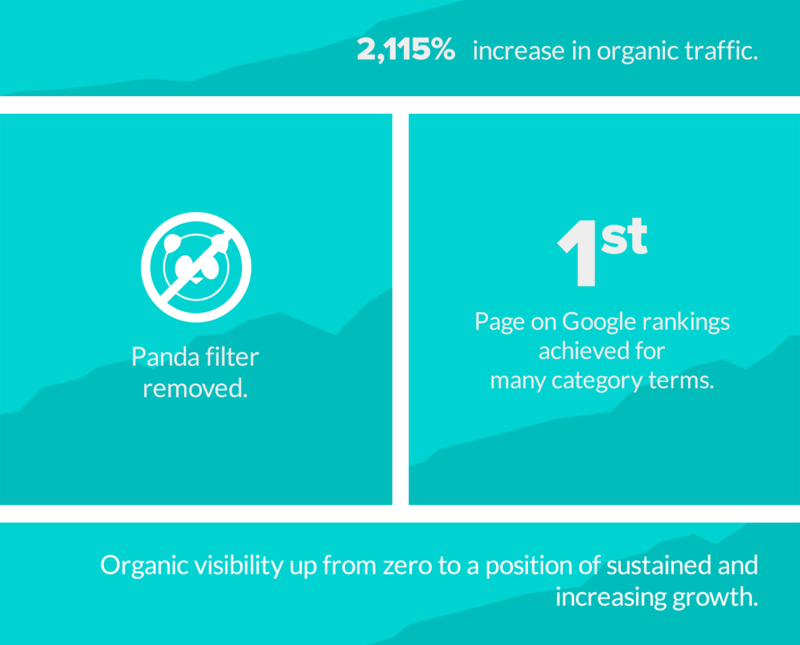 The technical and content projects combined had the effect of removing the Panda filter and produced an initial surge in visibility, organic rankings and traffic. We then needed to move into scaleable link building, and achieved that through story-led pieces hosted on the blog and then outreached using digital PR techniques.